”We’re planning to open the Superpark with the complete setup on April 15“, park designer Andi Röck reveals. Since the beginning of April, the shape crew is working hard on piling up the new setup for the summer season 2017. Obstacle after obstacle is getting ready and the crew is proudly sharing every milestone on Facebook. 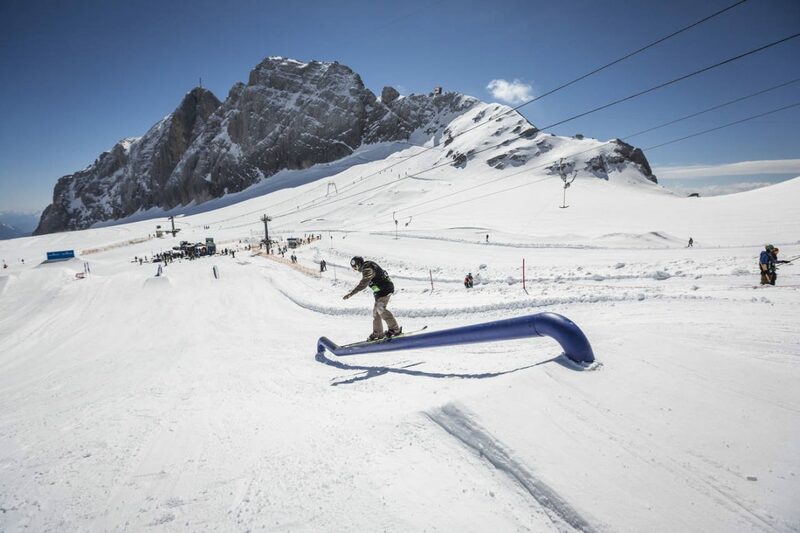 If everything works out as planned, the park will be ready one week prior to the grand finale of the QParks Tour 2016/17, the Oakley Roof Battle on April 22. Thus, perfectly in time to get some more exercise. Find all information about the event on Facebook and on the website. Ladies, listen closely! 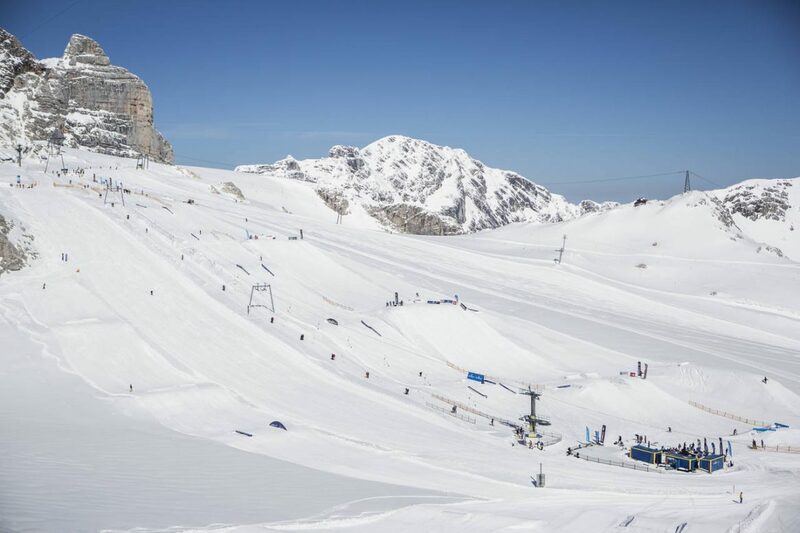 The date for the infamous Dachstein Girls Shred Session has been fixed: On Saturday, May 20, 2017, female snowboarders and freeskiers will be gathering and shredding at Superpark Dachstein. More detailed information can be found here. Save the date! All current setup information and photos can be found in the newly relaunched mobile app, too – get the updated version in your store for Android or iOS! Get ready – The season is just starting!